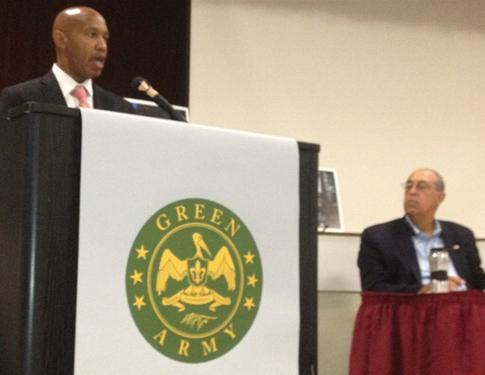 There is an effort to reroute Old Metairie freight traffic through New Orleans’ Hollygrove, Dixon, Mid-City and Palm Air neighborhoods known as the Middle Belt option. The relocation also impacts Shrewsbury in Old Jefferson. The existing route through Old Metairie is known as the Back Belt. An Environmental Impact Statment (EIS) is currently underway. We anticipate release of a draft EIS in 2015. Communities of color and non-english speaking populations threatened by the greatest impacts were cut out of the scoping process. Most were completely unaware of the study and early 2012 scoping meetings until late 2013. The Middle-Belt promises at least 32 mile-long freight trains 24 hours per day with anticipated rail traffic increase by 57% by 2020—A steady flow of rail traffic on lightly used passenger tracks. 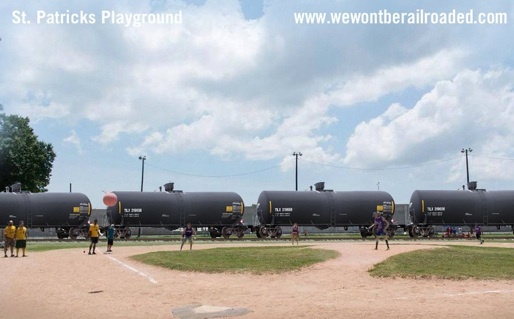 More than half of rail cargo in Louisiana consists of coal, crude, hazardous and chemical cargo threatening our communities, daycares, schools, playgrounds, churches and homes along the proposed tracks. low-income residents. It threatens the investments of all who returned after Hurricane Katrina to rebuild our flooded communities, homes, businesses and neighborhood playgrounds. 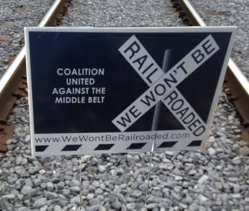 The Middle-Belt promises increased rail emissions, pollution, noise, vibrations. It benefits private railroads and the “chemical corridor” at the risk and expense of our homes, life, health and safety. It threatens expropriation of an unspecified number of residences, viable businesses, an active playground and lowered property values. Vibrations from construction and operation promise of steady rail traffic threaten the foundations of historic homes and integrity of masonry tombs and historic monuments dating back to the 1840s erroding the integrity of a national Historic District. A 2007 feasibility study middle belt route examines potential closure of Central Avenue in Old Jefferson. It shows the relocation of standing trains to a residential areas in Old Jefferson including addition of approximately six new tracks, in addition to the existing passenger and “front belt” freight line that already pass through Shrewsbury. The study considers reconstruction or modification of the Deckbar-Earhart interchange overpass structure, reconstruction of support structures at Causeway and other projects which may impact Old Jefferson. 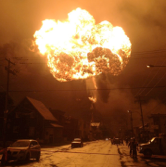 Nationwide increases in crude by rail and anticipated increases in regional chemical and crude cargo provide a benefit to private for-profit rail companies but threaten our property, life, health and safety. The impact of extended construction which is projected to last as long as 15 years includes reconstruction of I-10, Palmetto and Airline Highway overpasses which may mean road closures and detours having city-wide or regional impact. A 1975 study describes a four (4) year delay for overpass reconstruction alone. In more than a half a century of study since the 1950s, not a single study ever came to the conclusion the “Middle Belt” to be the preferred route yet documentation for the project indicates the Middle Belt as the preferred route prior to beginning of the Environmental Impact Study. Check back soon for more information and how you can help! In the meantime, learn more by looking at the map page, visiting our links and news page as we work to construct this site. If you missed the February 2012 meeting and have Flash you can watch the presentation. To see the route considered through Hollygrove, Dixon, Palm Air and Mid-City see pages 40-43 of the 2007 DOTD Feasibility Study Drawings. 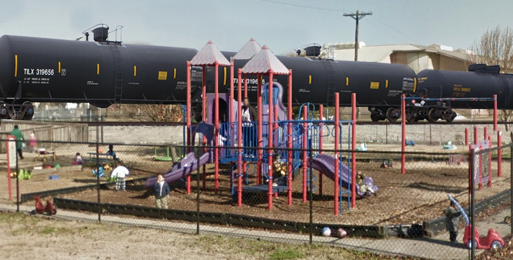 Artist rendering: proposed hazardous freight relocation through St. Patrick Playground in Mid City. 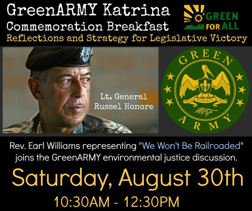 and Lt. General Honore at Green Army breakfast, Xavier University. 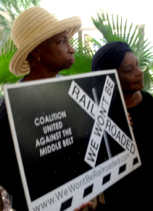 On July 23, 2015, the New Orleans City Council voted 5-0 to oppose rerouting of freight train traffic from Old Metairie to New Orleans. The resolution was unanimously sponsored by all seven councilmembers and requests the New Orleans Rail Gateway Program explore alternative options that don’t jeopardize the health, safety and welfare of our communities. Release of a draft Environmental Impact Statement appears to be scheduled for 2015. Read more about our victory in the news.